1 tablespoon bacon grease (or coconut oil) plus more to oil the grill. Spread the raw meat on a plate. Season as desired. Drizzle the oil over the meat. Gently fold the meat together, and form a well. Add the egg white to the well. Again, gently fold the meat together, just until the egg white is incorporated. Divide into your portions, and form into a ball. When the grill is hot, brush to remove residue and with a paper towel and tongs, carefully wipe oil on the grill. Just before you place the meat on the grill, gently press them flat (but thick) between your hands. Press into the center of the burger, not all the way through, but enough to make an indentation in the meat. Lay on grill. Let them grill, undisturbed until the edges of the meat are getting cooked. Continue for 1-4 more minutes (depending on how well-done you prefer.) The indentation you made should have filled in by now. Making that indentation prevent the meat from return to a more rounded shape. In the last minute, lay the buns on grill. Watch carefully, they will go from untoasted to burnt quickly. 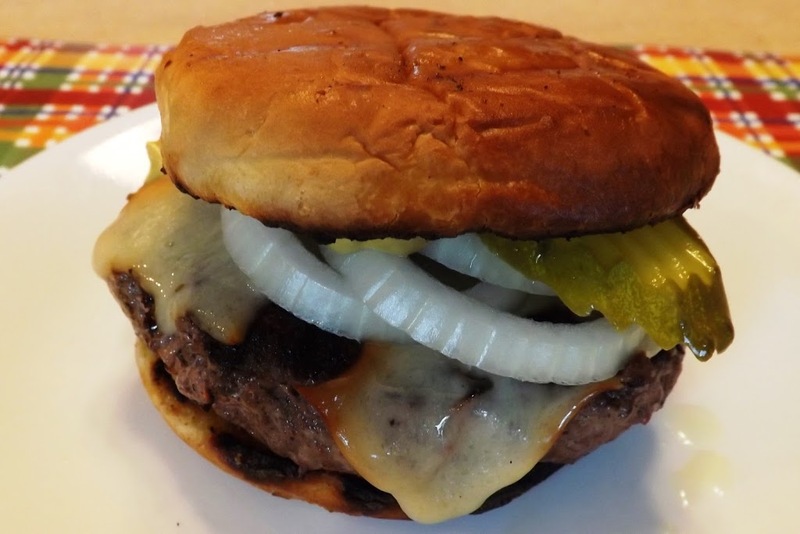 The added oil in step 4 will help keep the burger moist. You can use different oils for different flavor. Bacon grease is excellent. You could use butter or lard if you wanted. If you use a lower grade of beef (anything less than 90% lean), you won’t need to add the oils. So why don’t I just buy the inexpensive meat? My brother-in-law gives me the venison, so I use what I have, and adapt as needed. 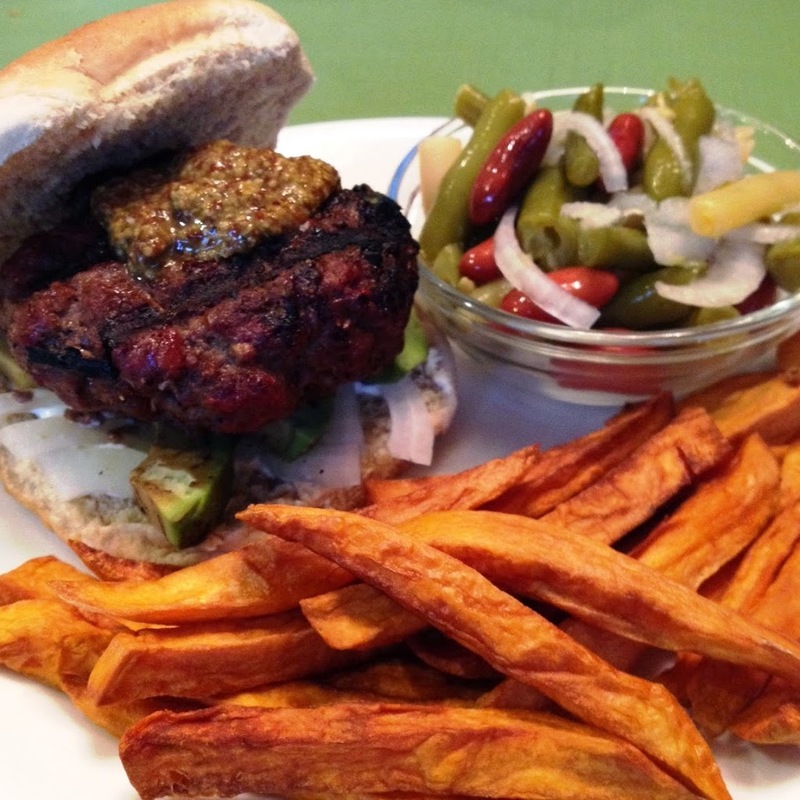 Never press on a burger while it is cooking, whether on a grill or in a pan. That simply pushes the juices out and you will have a dry burger. Tear the bread into small pieces and place in a bowl. Add milk and mash. Stir in onion. Add this to the meat, working the burger only enough to mix the bread into it. Form the meat into 4 patties. Flatten them into 3 inch circles. Try to make the centers depressed a little on both side, to allow for the meat to expand as it cooks. 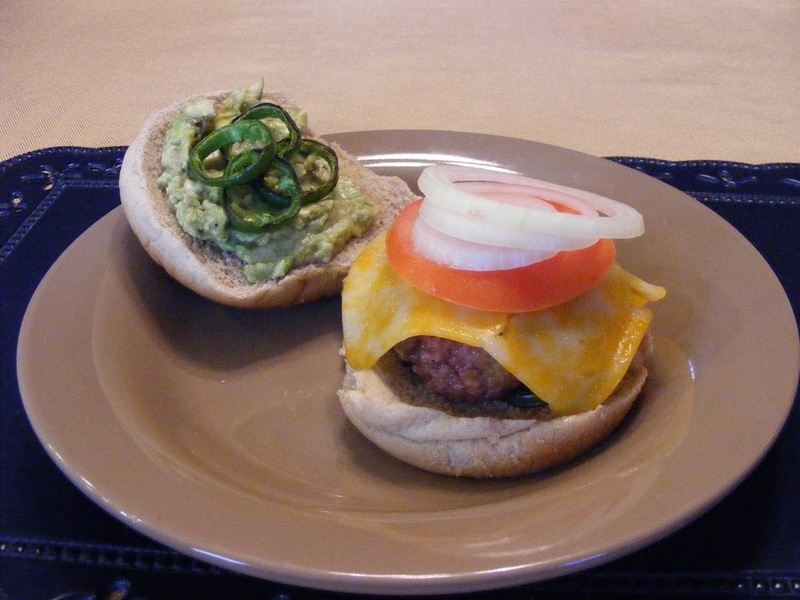 The burger above is topped with 1 ounce Colby-Jack cheese, 1/4 mashed avocado, an tomato slice, sauteed jalapenos, and onions. Your numbers will be different, based on the bun you use, the cheese (if any) or any other toppings that you wish to use. The burger as pictured has 327 calories.